Yvan Valentin was destined for a chocolate-filled life the moment he slipped into a giant tub of melted chocolate at his uncle’s French chocolaterie (chocolate shop) as a child. After graduating from France’s premier pastry school, he staged at Maison Troisgros, the revered 3 Michelin star restaurant in his hometown of Roanne. He then embarked on a multi-year tour du monde to immerse himself in the pastry arts of Italy, Spain, Malaysia, Israel, Guadeloupe and Tahiti before accepting the lead pâtissier position at L’Orangerie, Los Angeles’ legendary center of French haute cuisine throughout the 1980s and 1990s. At L’Orangerie, Yvan received the highest accolades from Gourmet magazine, The New York Times and The Los Angeles Times, and was twice named Pastry Chef of the Year. His roster of celebrity clients included Kirk Douglas, Jodie Foster, Tom Hanks, Michael Jackson, Ronald Reagan, Henry Winker and countless others. Among his favorite Hollywood memories: making Jane Fonda and Ted Turner’s wedding cake (a towering croquembouche bound with caramel) and satisfying Elizabeth Taylor’s crème brûlée cravings (at one point, her driver knocked on the kitchen door daily to fetch a single custard). It was an incredibly inspiring time, but Yvan’s pastry success was bittersweet. His passion to be a chocolatier had never wavered. At the height of his career, he left the celebrity chef lifestyle to re-invent French-style truffles using only the finest, all-natural ingredients. 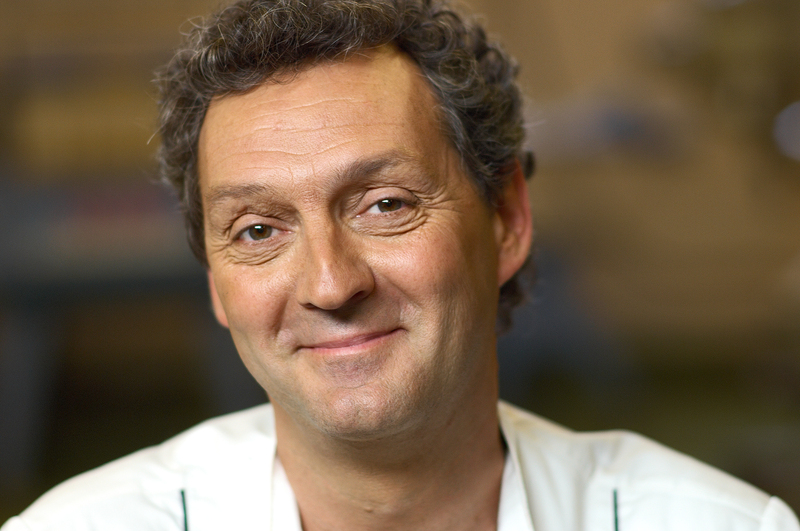 After more than twenty years, he is still as passionately devoted to the pastry arts. He spent years perfecting his signature dark chocolate bonbons – velvety smooth, dark chocolate ganache enrobed in a delicate dark chocolate shell and lightly dusted with cocoa powder – before experimenting with new flavors. For Yvan, the true artistry of hand-crafted chocolate lies not in eye-catching decorations, but in each truffle’s rich flavor, contrasting textures and delicate aroma. Yvan is equally committed to the environment. The truffles are packaged in lightweight, 100% eco-friendly boxes to maximize the number of chocolates per box and thereby reduce their carbon footprint. Each box is hand-stamped with his signature red wax seal (a tribute to the first chocolate shops in 17th century France) to complement the understated elegance of the truffles. After selling his handmade confections exclusively to 5-star hotels, restaurants and specialty shops worldwide, Yvan’s truffles are finally available directly from his Los Angeles chocolate workshop. He hopes you enjoy his chocolates as much as he enjoys making them.